This is the second part in my upbeat, highly motivational series specially crafted to get more knitters working with charts. 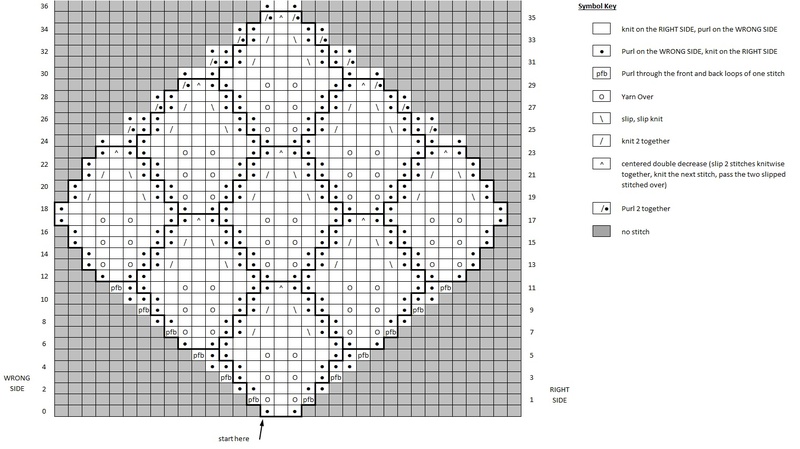 Knowing how to knit from charts is a pretty useful skill. Lots of patterns, especially free ones, only have instructions in the form of a chart. 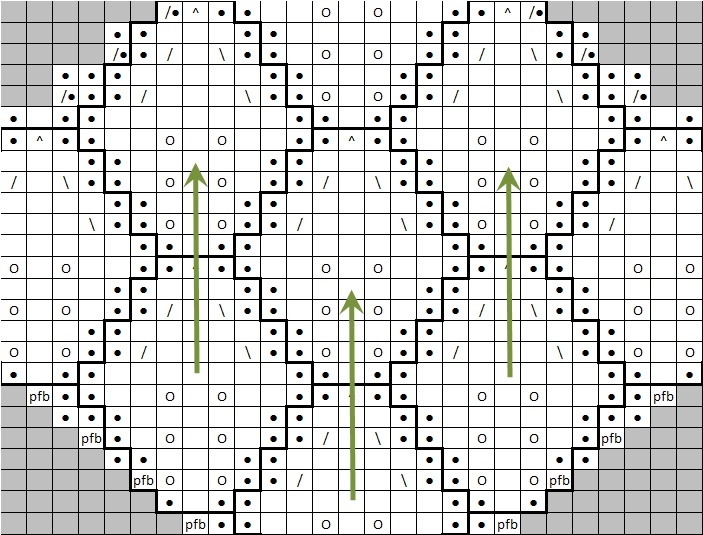 If every time you see a chart your brain goes blank, then you my friend are denied from working hundreds of thousands of patterns. Well, we can’t have that. 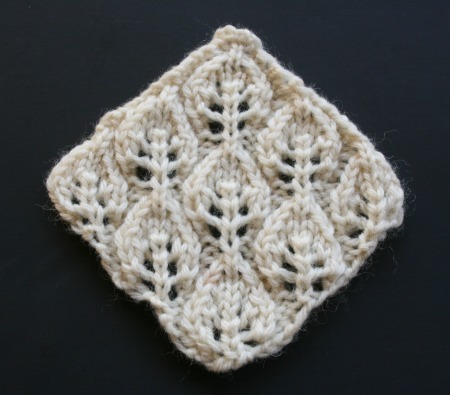 So I’m using my Leaf Me Lace wash cloth as a tutorial in knitting from charts. 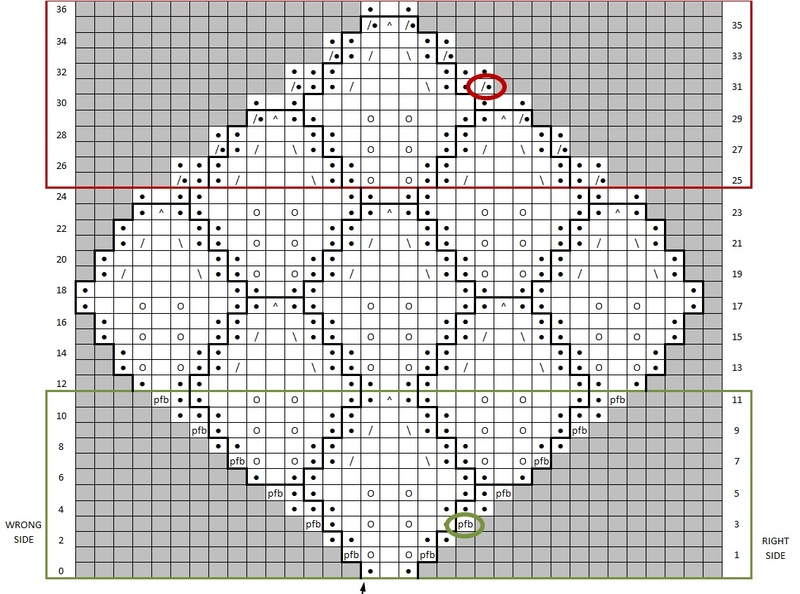 In that Part 1 post, I have guided instructions of knitting a single leaf from a chart. You might want to start there. But if you’re ready to move on, so am I! Does your brain go blank? Okay. Let me just say that no one “understands” a chart the first time they look at at. Just because you’ve run your eyeballs over that baby one time and don’t “get it” does not mean you can’t knit from that chart. You don’t need to understand a chart, to fully grasp everything that is going on, to start knitting. You can just… start knitting. Oh yes. With written instructions you would probably begin at the first row with “k1, p1, k1” and the move to the next row with “pfb, YO, k1, YO, pfb”, right? You can treat charts exactly the same way. Each box in a chart is a stitch. Learn what the box symbol means and work that stitch. Then work the next box/stitch and keep on like that until you are done. If you’re happy with that approach then you don’t need the rest of this. 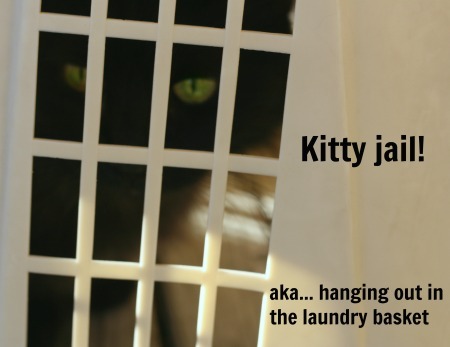 Just skip to the end and check out the video of me knitting up a wash cloth from this chart. We’ll knit it together. But if you’re one of those nosy, inquisitive types that just has to know everything, let’s dig into this chart and see if we can unlock some of its mysteries before we start knitting. In this chart I’ve put a big dark outline around each separate leaf. That’s because I wanted you to see how they fit together like pieces in a jigsaw puzzle. Each leaf starts at its base with three stitches. It grows out to a maximum width of 9 stitches. Then it decreases back to three. And the leaves stack on top of each other in a nice repeating pattern. If you treat each leaf as a separate section in your knitting, and I do in the video below, you’ll find the repeating rhythm of this lace pretty quickly. Another thing going on in this pattern is the increases and decreases that happen outside of the leaves. In Rows 0 to 11, the wash cloth is growing outward on each edge. That happens with a pfb, purl front & back, at the beginning and end of each right side row. Notice that when you have built up to three new stitches on an edge, you start a new leaf. In Rows 12 to 24 you are just working leaves. Nothing happens at the edges. In Rows 25 to 36, the wash cloth is decreasing on each edge. That happens with a p2tog at the beginning and end of each right side row. As each leave comes to its peak of 3 stitches, its decreased away. One more thing that I’d like to point out: the leaves fit together because they are offset vertically. As the leaf in the center reaches its widest, 9 stitches, the leafs of their side of it are at their narrowest, 3 stitches. 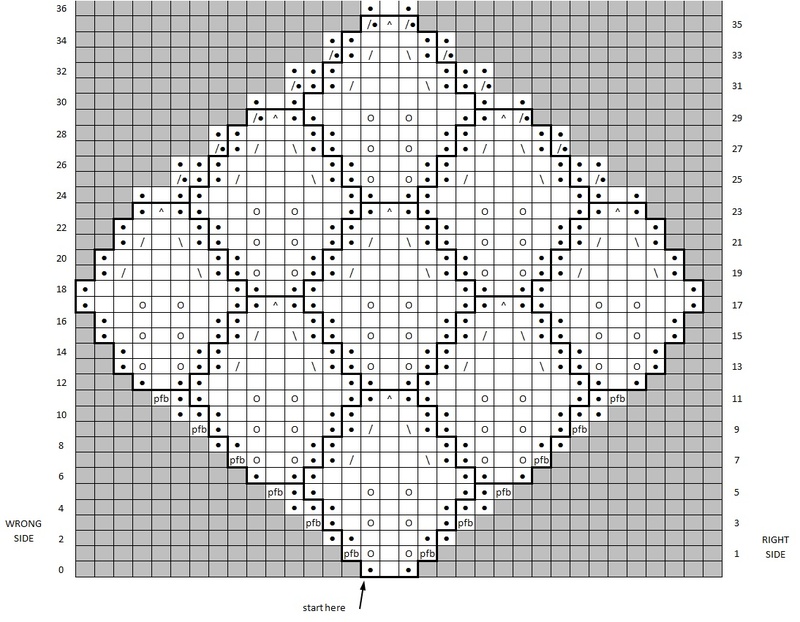 Its very symmetrical that way and this is what makes it an “all over lace”. Now you know all there is to know about this particular lace. I realize that every pattern, and every chart, has its own challenges. The method I use to break down this chart may not apply perfectly to the next chart you try. Its a bit like driving a car. You learn in one model and you get pretty good at it. When you try to drive a different car, somethings are different. But somethings are also the same. And the more cars you drive, the more confident you are behind the wheel. Knitting with charts is exactly like that. they more charts you attempt, the batter you are overall. And enough lecturing. Let’s get to the knitting. 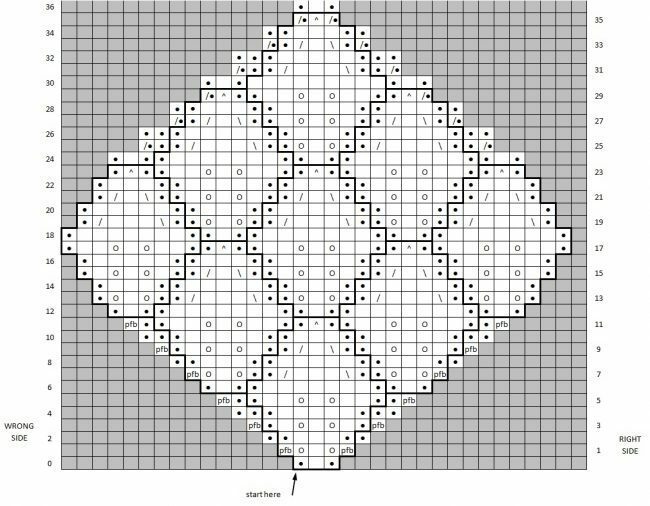 12 Comments on "Knitting with Charts – Part 2"
There no “official” standard legend of symbols used by knitwear designers. Designers have been making charts for so long that there are many variations of symbols in use. But… the Craft Yarn Council is trying to get a professional standard going. You can find their list of knit chart symbols right here. 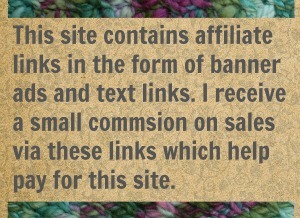 And knittingfool.com has a loooong list of “found” symbols they have encountered in different publications. Wow this is great! You are definitely a natural born teacher. In my search for patterns I like and that would expand my budding knitting skills, I can’t begin to tell you how many have been passed over because they were only charted. Thanks. It doesn’t seen quite as intimidating now. Yay! That brings a smile to my face. I just want to make charts accessible. Never want to hear about a knitter that won’t try a pattern they found and long to work, just becasue its charted. AS others have pointed out, you are a very good teacher. Thanks for the help with charts. I can use all the help I can get. The highlighter tape suggestion is particularly good. Before discovering this tape I was having a hard time keeping my place on the charts. And highlighter tape is the bomb. Its the bomb-dot-com. I love that stuff. In fact all this talk of highlighter tape has me thinking I may need to go buy myself more. I was looking at this and thought ‘that would make a great center for a Hap.’ What do you think? It would make a nice center “square” for a Hap shawl. the purl border around each leaf allows it to lay nice and flat so that would work nicely. But maybe add an extra stitch to the beginning and end of each row? Just one little stitch that you could slip. that might make it easier for later one when you want to add a border.